The CEN Whapmagoostui-Kuujjuarapik Station is owned and run by CEN whose secretariat is based at Université Laval, Québec, Canada. It is on Cree land and is run in collaboration with the Cree First Nation of Whapmagoostui. Operational since the 1970s, CEN’s principal field station conducts research projects on past and present environments. 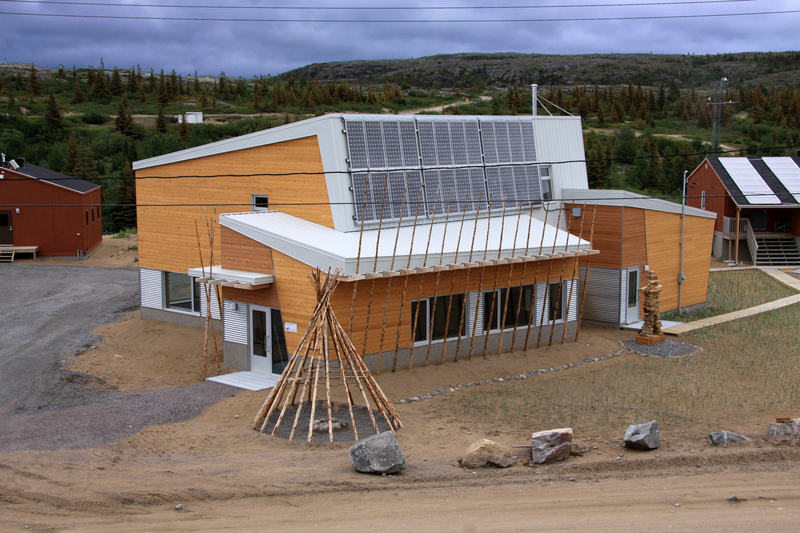 In 2010, major upgrades were undertaken, with the construction of a Community Science Centre to serve the needs of the circumpolar science community. The Centre offers a conference room, a permanent display on local natural history and on CEN activities. The station also has wet and dry labs, a greenhouse, a dormitory, a cafeteria (full meal services during summer), vehicles for rent, wireless internet, rental of sampling and camping equipment, and onsite station manager. The CEN Whapmagoostui-Kuujjuarapik Station is located on the eastern shore of Hudson Bay at the maritime limit of James Bay, and in the side-by-side villages of Whapmagoostui (Cree First Nation) and Kuujjuarapik (Inuit). This station is the CEN’s principal field station and has operated since the 1970s, with diverse research projects on past and present environments. An overview of past studies in this region is given in: Bhiry, N.et al. 2011. Ecoscience 18: 182-203. CEN operates several climate stations in the area. CEN has extensive climate data recorded since 1957 which is available through the data repository Nordicana D (www.cen.ulaval.ca/nordicanad) and upon request (cen@cen.ulaval.ca). Include work on biodiversity and dynamics of northern aquatic ecosystems; impacts of melting permafrost in the context of global warming; wetlands paleoecology; restoration of vegetation in degraded sites, and research on mercury dynamics. Snowmobiles, ATVs and boats (rowboat and zodiac) are available for rent at the station. 4X4 trucks are available for rent in the community. Helicopter services can be purchased from Nunavik Rotors and Whapchiwem. Yes, make arrangements prior to arrival. Local authorities must be informed of your work. No permitting and licensing required for work within the village, but please contact local authorities: www.whapmagoostuifn.ca, www.krg.ca and the CEN Science coordinator (christine.barnard@cen.ulaval.ca) to inform them of your proposed work. Makivik Corporation is currently working on a research licensing system. Health Centre in Whapmagoostui-Kuujjuarapik and Hospital in Chisasibi (185 km) by plane. The climate at Whapmagoostui-Kuujjuarapik is strongly influenced by the proximity of Hudson Bay, and the recent pronounced loss of sea ice in this sector of northern Canada has been accompanied by large increases in air temperature. Discontinuous or scattered permafrost occurs throughout the region and is degrading rapidly. Whapmagoostui-Kuujjuarapik is located at the terrestrial boundary between the taiga and the tundra. The community is built on a sandy headland, at the mouth of the Great Whale River. Granites covered by a thick layer of sand characterize the soils of the region. South of the Great Whale River is the taiga zone (Boreal forest), while north of the river, the forest tundra zone progressively dominates the landscape. This region continues to experience particularly rapid isostatic uplift in response to the retreat of the Laurentide Ice Sheet. Parabolic dunes occur along the coast and are strongly influenced by plant cover. Paleoecological studies have documented the Holocene evolution of landscapes, including lakes, wetlands, and forests. The vegetation type is coastal forest tundra, with some 400 recorded species. The Manitounuk Islands, located just a little to the north along the coast, are part of the Hudsonian cuestas found on the eastern shore of Hudson Bay. Rocky beaches on the side facing the open sea and vertiginous cliffs on the coastal side characterize these islands. The first signs of human occupation in the Whapmagoostui-Kuujjuarapik region have been dated at 3800 BP. The Hudson Bay Company (HBC) established the first fur trade post here in 1750 and marked the onset of continuous occupation. The American army opened a military air base here, using Inuit and Cree workers. Later, the HBC post closed. After the World War II, the military base was transferred to the Canadian government and a Mid-Canada Line radar station was operated. 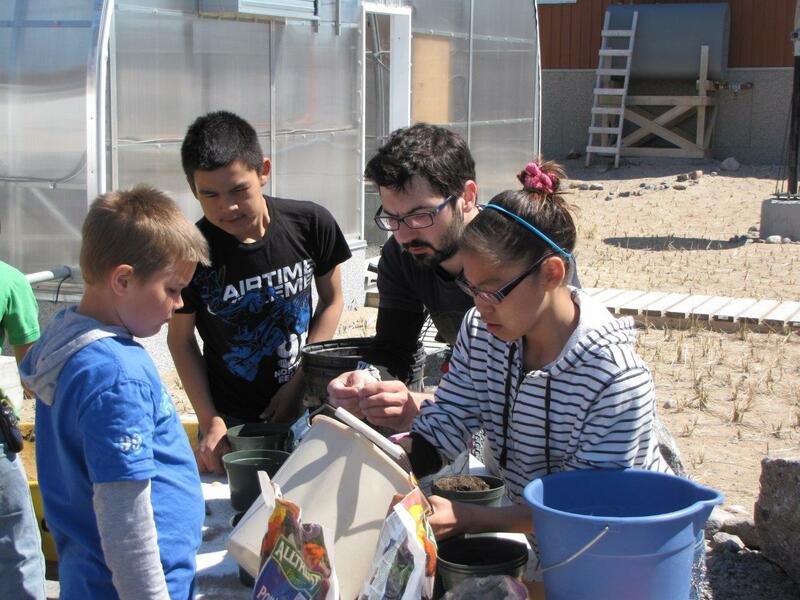 This bicultural community represents the ancestral limit of the Cree and Inuit territories. It is both the northernmost Cree community and the southernmost Inuit community in Quebec. Whapmagoostui-Kuujjjuarpaik has a population of about 1600 inhabitants. The spoken languages are Cree, Inuktitut, and English with some French. Much work on the social dimensions has been conducted over time. Rapid social, economic, and environmental change initiated in the mid-20th century continues to this day. Whapmagoostui-Kuujjjuarpaik is only accessible by commercial airlines (Air Inuit and First Air). All research activities must be planned in advance. Local guides and translators are available for hire. Access to the surrounding area by chartered flights, boat and all-terrain vehicles can be organized by the station manager.  Copyright © 2016 Canadian Network of Northern Research Operators. All rights reserved.